On this extremely rainy Thursday, I'm sitting at home, lights on (as it's just so dark, even though it's only 9am), wondering what to do for the day, with an almost 3 month old baby? Nina is happily kicking her legs and stretching her arms under her wooden-toy-arch (not sure what the exact technical terminology for this particular baby game is), as I type away at my (broken) computer. 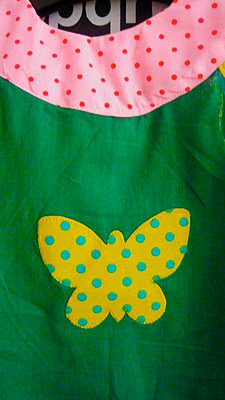 So... looking at the photos I have taken, of various projects I have invested my time into, I leave the world of little dresses behind, and bring you tops this time. 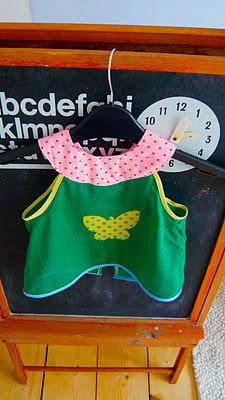 To this top I also added an applique butterfly, which I hand stitched after ironing it on with some Bondaweb backing. 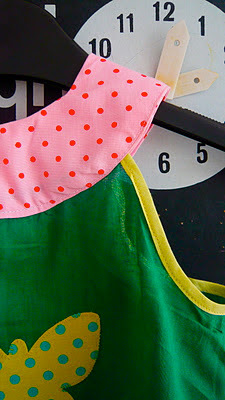 I just LOVE bias binding! It's my best friend at the moment... makes everything look "finished off". 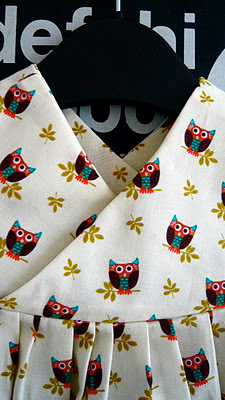 I went online (try Sew Essentials) and bought various rolls of bias binding in different colours, not cheap, but it really does go a long way. 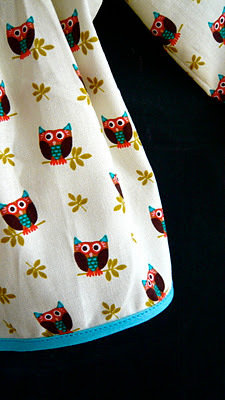 love both, that owl fabric is especially darling! Thank you for your comment and for checking out my blog.